Octavian Droobers club members hosted two major competitions last weekend. 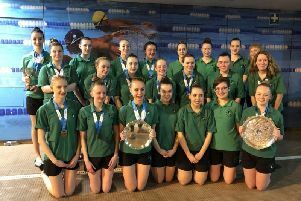 On Saturday it was the turn of the club to host the West Midlands Schools Championships at Coombe Country Park, and on Sunday the West Midlands League was held at Bentley Wood, near Atherstone. The hard-working teams ensured both events went smoothly and the weather was perfect for competitors, and the many visitors, to achieve some great race results for their schools and the club. Juniors from the club performed very well at the West Midlands Schools Championships, some were competing for the first time for their school. Congratulations to local schools, Park Hill 1st and Staverton 2nd in the primary school category and to Kenilworth School 1st and King Henry VIII School 2nd in the Secondary Schools category. Club juniors gaining individual top three places were: Tilly Flippance 1st Year 5 Girl, Max Straube-Roth 1st and 3rd Henry Jeffries in the Year 5 Boys; Hannah Wheeler 1st, Oriana MacGibbon and Sebastian MacGibbon 2nd in the Year 6 Girls course; Florence Lunn 1st, Josie Smart 2nd and Tabitha Lunn 3rd in the Year 7/8 Girls Eoin Hankinson 2nd in the Year 7/8 Boys; Pippa Smart 1st Year 9/10 Girls; Nathan Chapple 1st and Jacob Oxtoby 2nd Year 9/10 Boys; Felix Lunn 1st and Oliver Flippance 2nd in the Year 11 Boys. The beautiful bluebell covered Bentley Wood was the setting for the 5th West Midlands League and great runs by OD increased their points to 4103 well ahead of second placed Walton Chasers 3397. Nearly 300 competitors of all ages, from around the Midlands, including many families, entered the event organised by Alistair Powell and ran on the 8 courses planned by David Lawson. Individual OD top three position successes were: on the beginners White 1.5km course 2nd Sebastian MacGibbon M10 10.51mins and 3rd Oriana MacGibbon W10 11.30mins; Rory Sarkies M12 3rd on the Yellow 2.4km course in 22.14mins; Sian Gardner W60 1st on the Orange 3.3km course in 44.52mins; Felix Lunn M16 1st in 46.22mins and Florence Lunn W14 2nd in 47.35mins on the Light Green 3.8km course; Richard Gardner M60 1st on the Short Green 3.4km course in 30.33mins; Bruce Bryant M60 1st on the Green 5.2km course in 49.31mins; Amy Sarkies W60 1st in 54.57mins, Oliver Lunn M16 2nd in 59.38mins and Lesley Ross W50 3rd in 61.08mins on the Blue 6.9km course with 140 metres of climb; Alistair Landels M50 2nd in 62.46mins and Duncan Birtwistle M21 3rd in 63.30mins on the Brown 9km course with 250 metres of climb. 1137 events across 75 countries, from New Delhi to New Zealand, across the Americas and Europe, have now been registered and OD will be celebrating this on Wednesday (May 23). It will take the form of several crosscountry courses around Abbey Fields, Kenilworth and an Urban race around Kenilworth Town. Courses of varying lengths from 2km to approximately 5km have been planned and include those for beginners as well as experienced orienteers. To try this outdoor active sport, a bit like a treasure hunt, just turn up between 6 and 7.30pm. All ages welcome, especially families, help given to all newcomers, bring a compass if you have one. Full details are on www.octavian-droobers.org website or call 01926 632189.